Mount Pelion, playground of the Gods, is the perfect combination of sea and mountains, sights and scenery and a place where magic and myth come to life. It is truly one of the most naturally beautiful regions of Greece, and is ideal for holidays all year round. The Pelion peninsula is covered with various villages and hamlets of all shapes and sizes, with each one adding it’s own charm and beauty to the overall magic of Pelion. 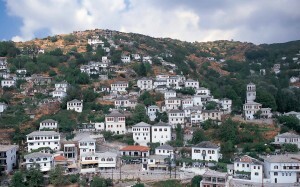 One such village is that of Hania, located at the top of Mount Pelion. Situated at an altitude of 2100 meters, and surrounded by a beautiful forest of beech and pine trees, Hania is an extremely picturesque village, and one that provides breathtaking views out over the entire peninsula. 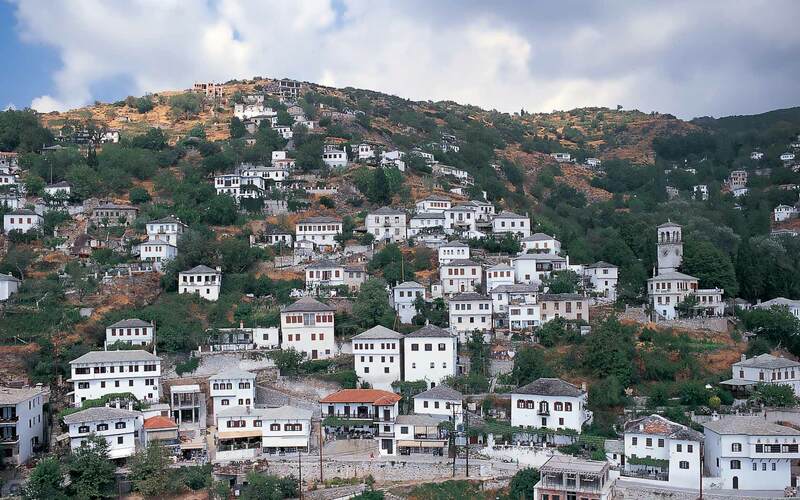 Hania is an ideal Pelion village in which to visit, and is perfectly located for visiting throughout the year. During the summer months, Hania is much cooler than other parts of Pelion. It is especially popular during the winter months though, when the famous Pelion ski centre of Agriolefkes, which is just 1km away, is in operation. In the winter, Hania is covered by a blanket of crisp white snow, and the scenery and landscape must be seen to be appreciated. From the Hania at an altitude of 1200 meters, you can take the newly built road that takes you down to the Aegean Sea and the Eastern side of the Pelion peninsula to villages such as Agios Ioannis and the famous beach of Milopotamos. There is also another road that leads from Hania down to Agria and the coastal region of the Pagasitic Gulf. For all of your accommodation needs in Hania and Pelion, we are delighted to be able to welcome you to the Hotel in Pelion Anamar, which is located in Hania. Here we offer a wonderful selection of comfortable and relaxing rooms and accommodation at our hotel. We are open throughout the year, so whenever you plan to make your visit to Pelion, you can be sure that we will be here, waiting to offer you our warmest welcome to the peak of Mount Pelion.